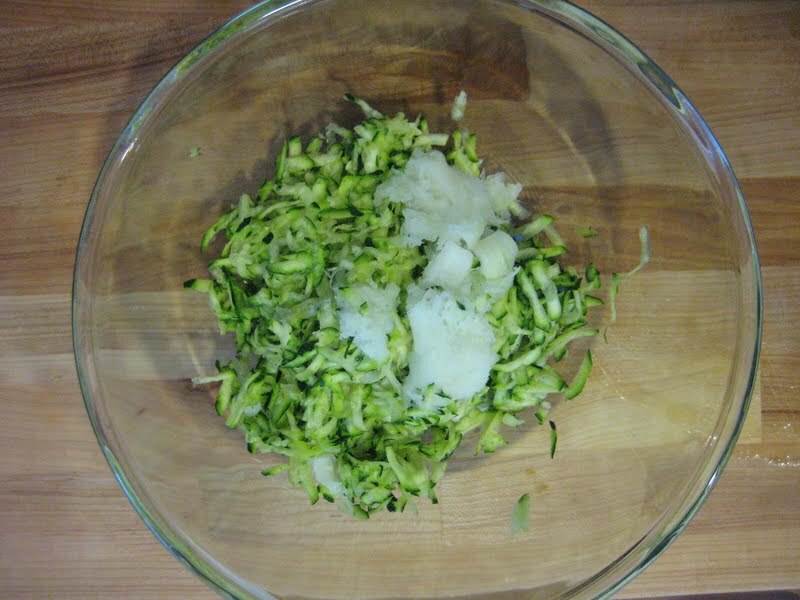 Zucchini is a popular vegetable in my house, so I mindlessly cook it and try recipes focusing on this veggie. To my surprise these little fritters were extremely tasty! Well worth the bit of effort on my part. And you can put a new spin on it by changing the cheese you use in the fritter and the condiment you serve with it. In this case I used grated parmigiano in the fritter and creme fraiche on the side. But you could use pecorino romano or serve with yogurt and apricot preserves instead! This thing is sooooooo good! I was eating them as they were coming out of the pan. By the time Amy finished cooking them, they were gone! Love the photos, and I will try these!